Purveyor of fine single-malt Speyside scotches. 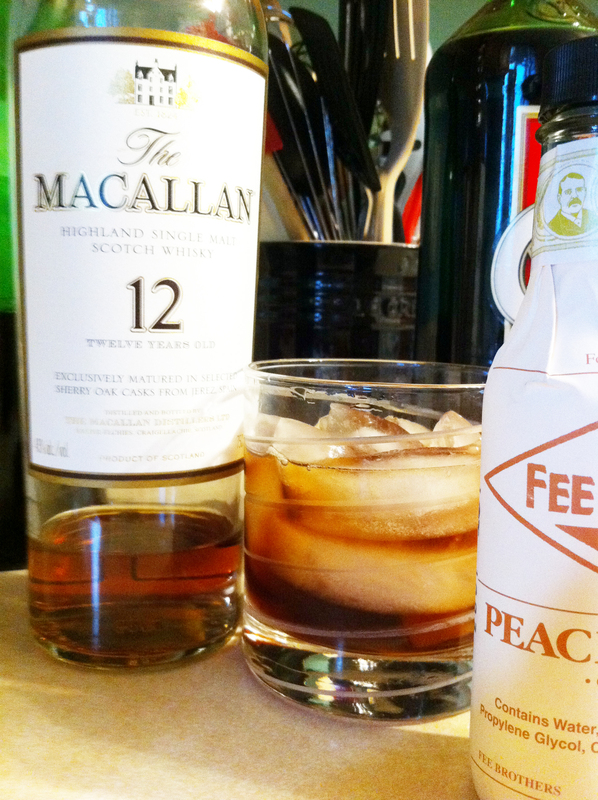 Friend of the blog Cheri Loughlin (better known around the Interwebs as The Intoxicologist) has created two unique cocktails for The Macallan’s Masters of Photography competition. The Macallan Masters of Photography bottling represents the coming together of mastery in two great art forms, whisky-making and photography.The first edition, created in 2008 with Rankin, captures life at The Macallan’s Home in 1,000 Polaroid images.In the latest edition, Albert Watson takes you on a visual journey of our exceptional wood, beginning in the forests of Spain and ending at The Macallan’s Spiritual Home in Speyside. But that’s not all campers. You have the chance to enter your own travel photographs in the competition. What can you win? A 10-day trip across Scotland. Hell yes. Enter the competition here. Neither of which I had in my collection. I wasn’t about to let that stop me though. Two days later, my special orders came in and I was able to sit down and taste everything separately. Know your enemy. Or in this case, your cocktail. 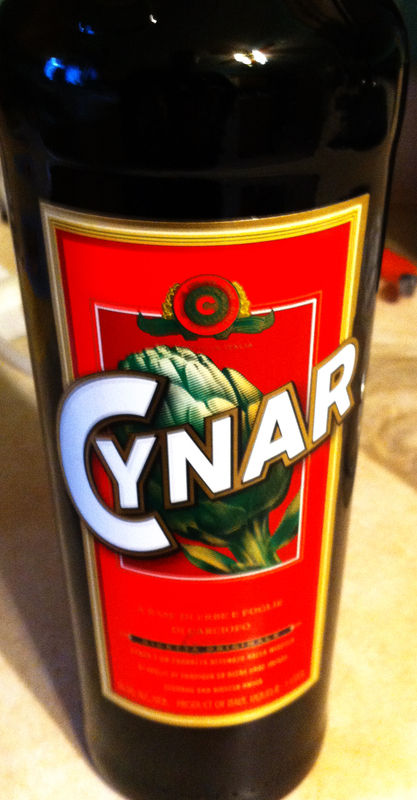 Cynar is an artichoke based bitter. Its distinctive flavour is enriched from an infusion of 13 herbs and plants, making it a completely natural drink, rich in scents and a unique taste . It perfectly conserves all the health properties of the ingredients used in its preparation. 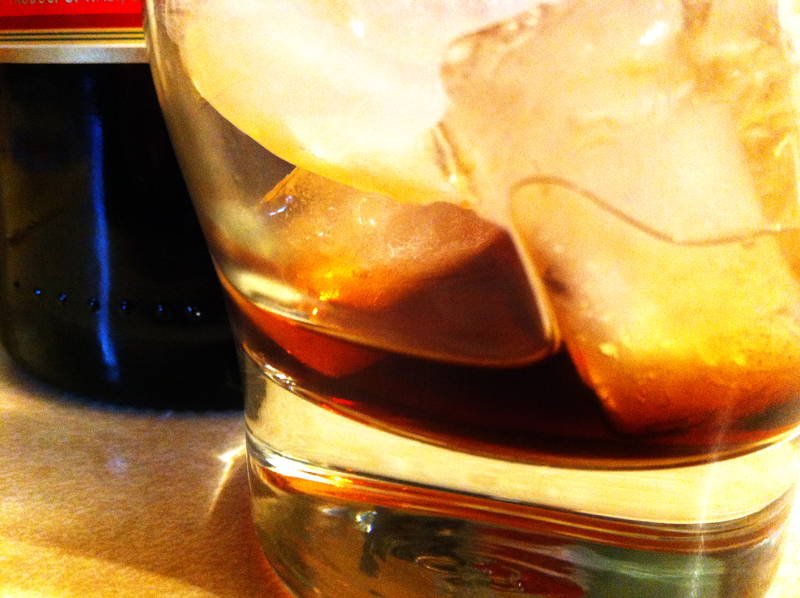 Onlymoderately alcoholic (16.5%) Cynar is a modern and versatile drink that is always welcome. Cynar was launched on the market in 1952, and its history is closely tied to its successful television advertisements interpreted in the 1960s by Ernesto Calindri. In 1995 Cynar became part of Gruppo Campari that has grown the brand into a “digestif apertif” and a market leader in the “after dinner bitter” category. After opening the bottle, on first whiff it reminds me instantly of Campari. Jenn’s first smell yields similar results. However, while it may smell like Campari, the taste is where it distinguishes itself. On the front, it has a very sweet, almost iced-tea like taste. That distinctive bitter you get from Campari bitters come cascading down right after that. I really dig it. Incredibly unique and something I think I may have to keep on hand (you don’t use much though, so I think one bottle should tide you over for a while). 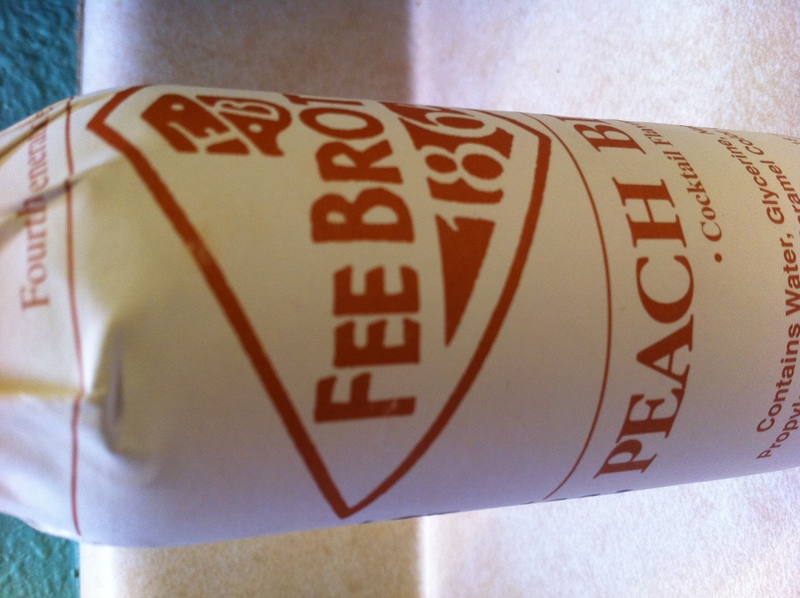 For this cocktail I chose Fee Brother’s for my peach bitters. There are a bevy of other bitters out there that you can try. Hell, you can even make some yourself if you’re feeling super energetic. I wasn’t. So I bought some. These tasting notes are short: Peach. Wowee, peach. My first thought was a liquid version of those peach ring gummy snacks you get in convenience stores on road trips. Not as sickly sweet however. The sweetness is balanced by the fruitiness. It will be interesting to see how this affects the over drink. But enough of the basics. Now to the drink itself. Combine the ingredients in a chilled rocks glass and stir well. Garnish with an orange zest twist. Sure, it looks pretty. But how does it taste? Delicious. Inexplicably, amazingly delicious. I tend to regard most scotch cocktails with a wary eye. 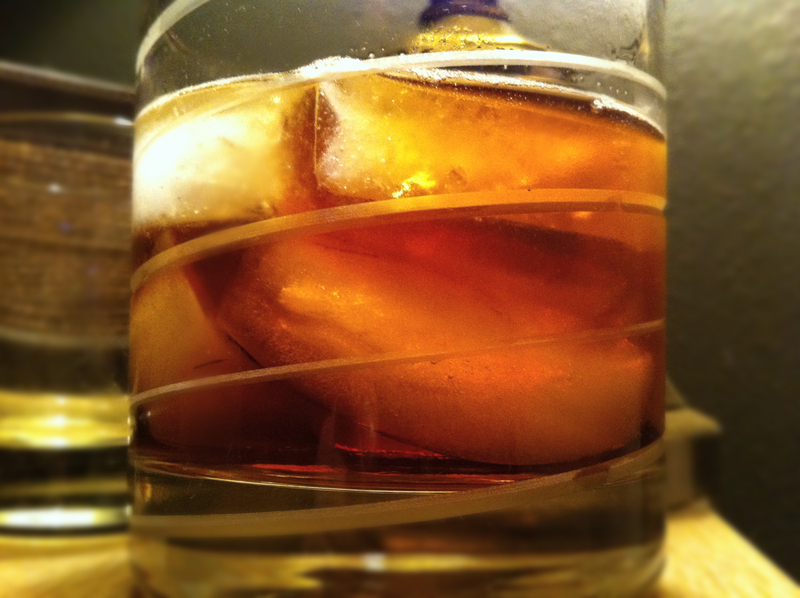 After all, scotch (in my mind at least) is best enjoyed either over the rocks or neat. However, there are times that are few and far between where a cocktail with a scotch base suddenly swoops in and creates a killer cocktail. This is one of those times. I was expecting to get the smokiness of the scotch on the top with the bitters coming in the background. I was wrong. What’s presented is a completely new palate of flavors. You get the sweetness of the Cynar and port up front with that little bit of fruitiness of the peach bitters. 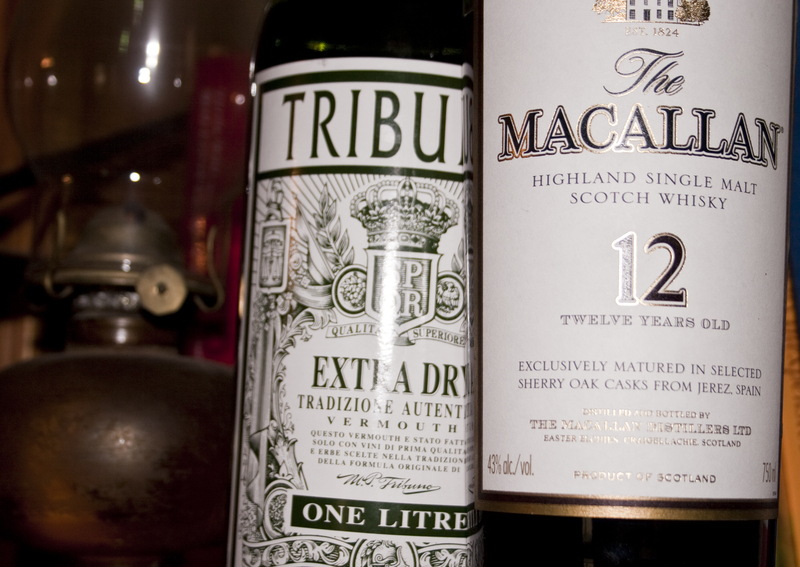 Then, in the background, lurking like that creepy old guy at the club, is the scotch’s familiar smooth, smoky flavor. Unlike the creepy old guy, the scotch is more than welcome and wraps up the cocktail in a nice bow. A great example of how things can mix together and completely change them from their individual parts. Kudos to Cheri for another home run cocktail. 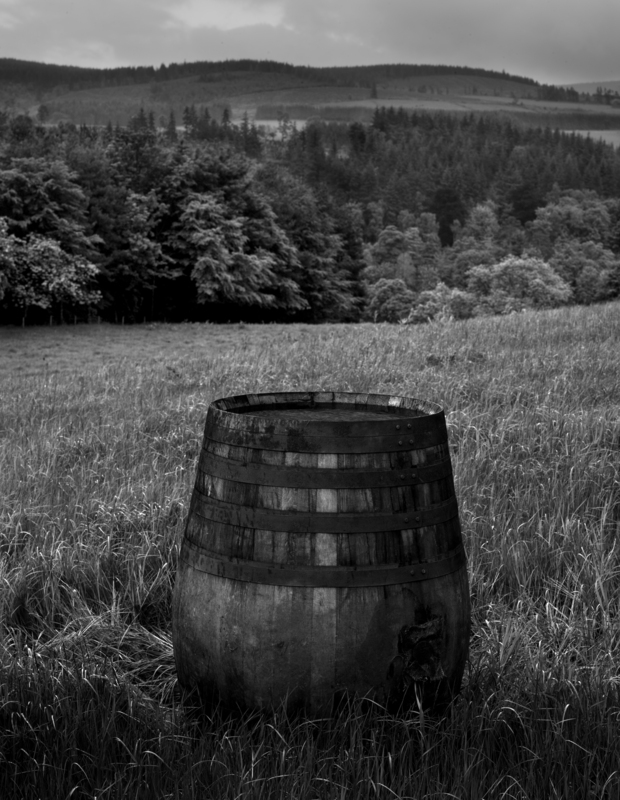 And don’t forget to enter The Macallan photo contest. I’m a sucker for black and white photos. I also like to have my tree and dtioraecons up by Dec. 1. Leaves me lots of time to focus on shopping and cookie making. I love your red shoe and greentini martinis. Looks like a delicious spread.